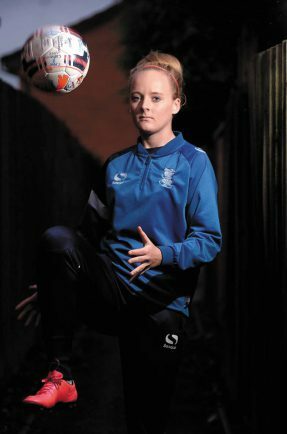 YOUNG Birmingham City Ladies prospect Chloe Peplow has looked back on a significant breakthrough 2015 season with pride. 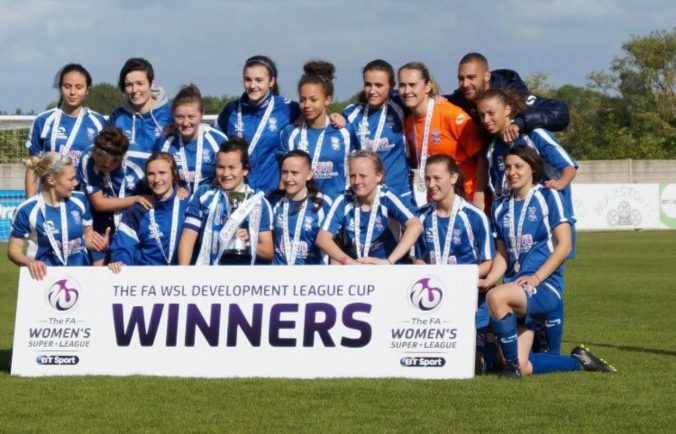 Soon after playing a significant part in helping the Blues Ladies Development squad win the FA WSL Development League Cup with a 4-0 success against Sunderland in the final, the 16-year-old made her first team debut for the Blues in August and then maintained a regular spot in the first team matchday squad for the remainder of the top flight campaign. 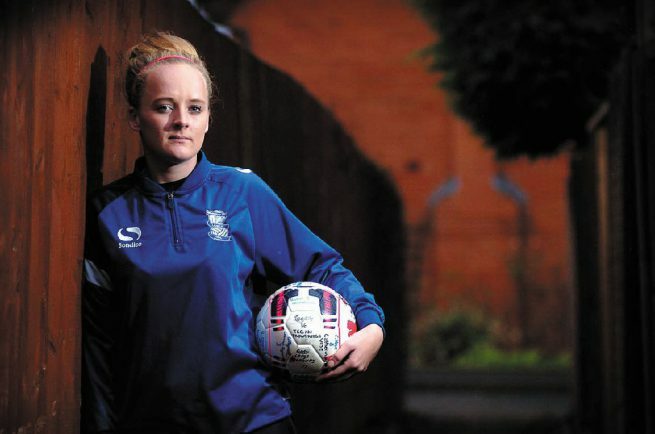 Midfielder Peplow, of Bromsgrove, has also continued to impress in England colours and gained valuable experience as she played every minute of England’s three matches in the European Women’s U17 Championship in Iceland in the summer. “It’s been a really good season for me and a good achievement to be getting into the first team squad as the season progressed,” said the skilful Redditch-born player. “It was a great feeling when I knew I was making my full debut for the first team in the Continental Tyres Cup game against Oxford United. It did make me feel proud. Peplow is thankful for the opportunity given to her by Blues, having joined the academy at the age of seven, and is the latest proof of the club’s burgeoning reputation as one of the best breeding grounds for young talent in the country. In fact, the Solihull-based club has produced more England players across all female age groups up to and including the full national side than any other Women’s Super League club. “With the academy, development centre and development league, there is plenty of opportunity to make your mark at Blues if you show the right attitude,” added Peplow. “If you can prove yourself then you will get your chance here, which is great for us younger players to know. The 2015 club campaign may have drawn to a close, but the hard work continues for Peplow as she looks to make further progress in the national team’s colours by securing her place in the England squad for next summer’s European Women’s U19 Championship. She added: “It was fantastic to play every minute for England in the U17s Euros this year and we were a bit unfortunate not to make the semi-finals after only losing one game to a strong Germany team. As for the 2016 season in Blues colours, Peplow knows there will be some tough challenges ahead as the top flight’s big guns continue to bolster their ranks, but the midfielder is unfazed and is relishing the future.